Nice placemats have always been something I've found quite hard to source. So when I received some lovely fabric from Zazzle I thought I would use it to make my own mats. I decided to make them hexagonal, just for something a little different and I'm really pleased with how they turned out. Plus they make a lovely gift if you make a set of them and tie them with ribbon as I have done here. You can follow the full tutorial over on the AO blog now. Oh and make sure you check out the range of fabrics from Zazzle - they have a huge selection, and a great variety of weights and types of fabric. 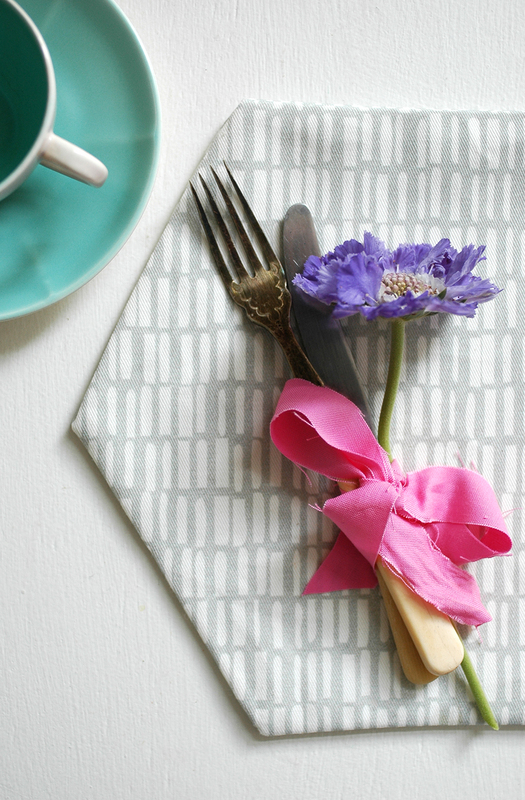 I went for a cotton twill for these placemats.